mayo 2018 - Desarrollo de Sistemas Avanzados, S.L. DSA wins one of the biggest projects in the history of the company thanks to the trust of Nexteer. This project will be implemented in the new Nexteer plant in Morocco. These facilities, which have more than 18,000 m2, will begin production in 2019. El pasado sábado 25 de Mayo se celebró el Tercer Torneo de Padel DSA. http://www.dsagrupo.com/wp-content/uploads/2018/09/Tercer-Torneo-de-Padel-DSA.jpg 915 1544 DSA http://www.dsasl.eu/wp-content/uploads/2018/09/logo_color_web.png DSA2018-05-25 14:25:422018-09-17 09:23:03El pasado sábado 25 de Mayo se celebró el Tercer Torneo de Padel DSA. 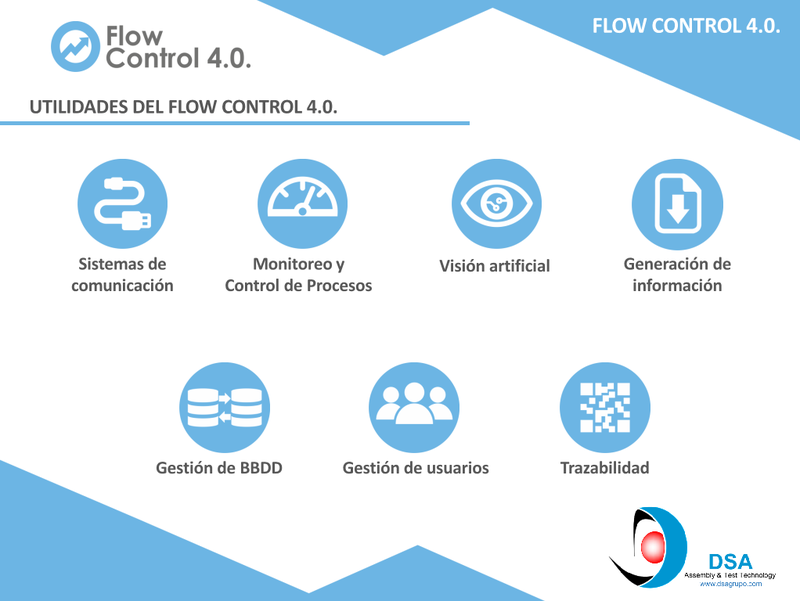 FlowControl 4.0 by DSA. Upgrade your Factory with Powerful Traceability System. http://www.dsagrupo.com/wp-content/uploads/2018/09/FlowControl-4-by-DSA.png 768 1022 DSA http://www.dsasl.eu/wp-content/uploads/2018/09/logo_color_web.png DSA2018-05-07 11:00:422018-09-17 09:22:58FlowControl 4.0 by DSA. Upgrade your Factory with Powerful Traceability System.